We make expert recommendations for the lawn fertilizer that will produce the best results for your lawn in Charlotte. Did you know that having the right lawn fertilizer can really make a big difference in the appearance and health of your lawn? Did you know asking for professional help could yield the best results when you have lawn problems like brown patches and weeds? 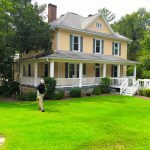 At Carolina Turf and Mosquito, LLC, we believe you should have a beautiful lawn you can enjoy in any season in Charlotte, North Carolina, and that’s why we are here to help when you need solutions. When we come to assess your lawn, not only can we provide soil sampling that will tell you more about where your lawn problems may be stemming from, but we can also make expert recommendations for the lawn fertilizer that will produce the best results for your lawn. We work with both residential and commercial clients to help them achieve their lawn care goals. With our lawn fertilizer options, you will see a difference in the health and appearance of this important outdoor space. 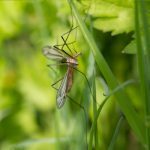 In addition to lawn fertilizer, we can also discuss whether grass reseeding will be a good choice, and we also provide mosquito control services that can help you take back your outdoor space during the warmer months. We specialize in premier turf management, and we can provide green alternatives when you want to make sure your lawn truly gets the best. Contact us at Carolina Turf and Mosquito, LLC today if you have questions about lawn fertilizer or if you would like us to come out to assess your property. We look forward to working with you. At Carolina Turf and Mosquito, LLC, we can help with lawn fertilizer in Charlotte, Waxhaw, Weddington, Matthews, Pineville, Fort Mill, Rock Hill, Gastonia, Mint Hill, and Pineville, North Carolina.